How to decorate with books on and off bookshelves. 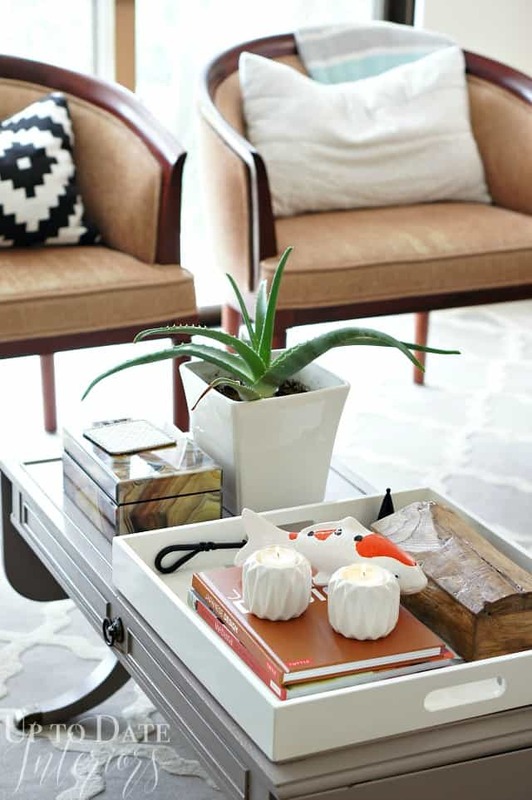 Find creative decorating tips for your reading material as pretty storage and styling tips. I just love it when a reader has a decor or design question. One of regulars asked for tips on how to decorate with books on bookshelves and other places. If you’ve been here before you know that I LOVE using them in my decor and vignettes. I put together some of my favorite examples and would love to hear if you have any more ideas! 1. Display books on your fireplace mantel. When using them as accessories, remove dust jackets to reveal book bindings, then stick to 3 or 4 colors to keep it looking harmonious. Try them stacked, upright, leaning, or a mix of all three. 2. Display neutral hardbound books mixed with small vignettes to balance out decor. 3. Color code them! This is one of my favorite ways to display books. If you are wanting to organize by type/topic, try organizing each shelf individually. For instance, keep warm colors on the right, cool on the left, and neutral in the middle. The end product will make the color coding vertical. 4. 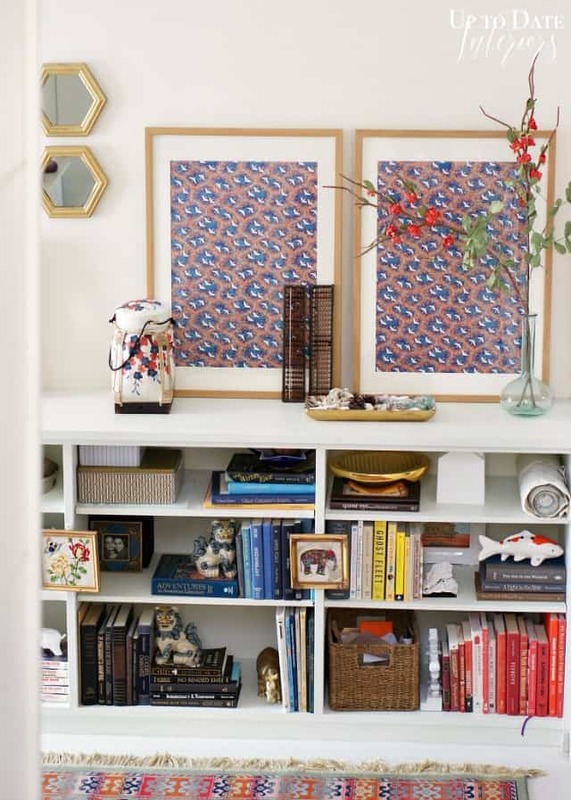 Use books to elevate a focal point or vignette. They are great for acting as a “base” for a special decor item. 5. Style your bookcase with accessories and books in the same color family. 6. Turn them around for neutral decor. This is good for paperback or unattractive books that need be kept around! 7. Large stacked books look great on bigger coffee tables, on tops of pianos, or unused formal dining room tables (use the space as a study/library). 8. Use them on your side tables and coffee tables to corral smaller decor accessories. 9. Display pretty books on a sofa table or buffet to add varying heights of decor. 10. Try stacking them on something more unconventional like a chair! How do you use your books? Have you thought of creative ways to display them? If you need a little extra help in the decorating department, make sure to sign up for my FREE 5 day decorating email course! Looking for gorgeous books to decorate with? Here’s a list of my favorite decorating and DIY books! I’m excited to be a contributor to Apartments.com. Recently I shared Rental Friendly Ways to Display Artwork! These are all visually appealing ideas, but not for the serious reader. I’d spend hours looking for one book. I read my books too often to display them in a way that isn’t a logical way to find it on the shelf. You’re right, some of the ideas are definitely just for aesthetics. My favorite way to categorize books for avid readers is to color cold each individual category so it’s visually interesting and practical. Thanks for stopping by! How do you “color cold” each individual category? I’m confused. I separate non-fiction from fiction on wall shelving, with fiction on the right and non-fiction on the left so I can easily know where to start. Then I have the non-fiction grouped together i.e. medical together, astrology together, entertainment and decor grouped together etc. This works for me but I’d like to know more in detail how you’d shelve the same as I have. Tks! I love the books turned around. Lots of visual interest! Great ideas! Nice to find someone who agrees to removing book jackets when using books for design display. I just did that & the coffee table looks much better now! I never thought to do this until my daughter visited & mentioned it! Very nice! Hardback books can be so pretty with the covers off. I tend to store the dust jackets just in case we sell or donate any. 🙂 Thanks for the nice comment.